With first access to Kering’s 2016 sustainability report, BoF speaks to chief sustainability officer Marie-Claire Daveu to unpick the data and what it reveals about luxury supply chains. 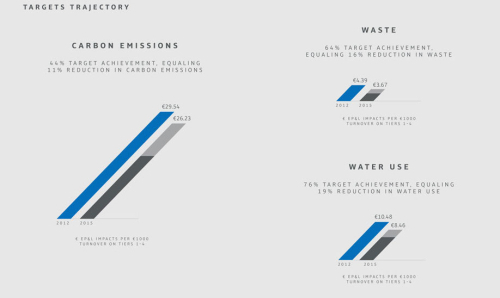 LONDON, United Kingdom — Today, French conglomerate Kering will publicly report its performance vis-à-vis sustainability targets voluntarily set in 2012 to reduce the group’s negative environmental and social impact, covering areas including CO2 emissions, hazardous chemicals and the way the company sources gold, leather and precious skins. The report reveals a mixed picture of progress and pain points. The company has only reached 15 percent of its target to source 100 percent of its gold from verified responsible sources, for example, yet has achieved 99 percent of its target to make its collections PVC-free by 2016. Across its supply chains, the company has also managed to reduce carbon emissions by 11 percent, decrease its waste output by 16 percent and cut its water usage by 19 percent since 2012, falling short of its stated targets to slash all three by 25 percent. “We have really made big changes,” Marie-Claire Daveu, chief sustainability officer and head of international institutional affairs at Kering, told BoF. Daveu, a trained engineer and former senior civil servant in the French ministry for ecology, joined Kering in 2012. “If we want to change the paradigm, it’s really key to exchange not only our successes, but to share why and where we have an issue to tackle,” she continued. Kering, which owns a number of luxury fashion brands, including Gucci, Yves Saint Laurent, Bottega Veneta and Stella McCartney, has received recognition from third parties for its sustainability efforts, including the 2015 Dow Jones Sustainability Index and RobecoSAM, a global investments company with a specific focus on sustainability. The report marks the first time a luxury group of this size has released a public report on the environmental and social impact of its supply chain. (Kering’s Environment Profit and Loss account, Kering’s analysis of its environmental impact, has also been made publicly available.) As such, it provides rare insight into the social and environmental impact a luxury conglomerate’s supply chain can have on the world, and why reducing that impact is tougher in some areas than others. 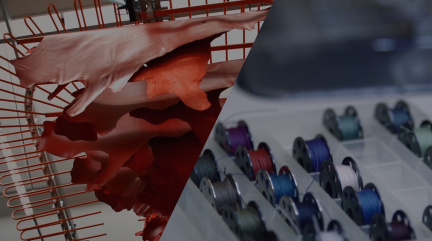 The production of raw materials accounts for 50 percent of Kering’s overall environmental impact, while processing those materials counts for an additional 25 percent. Kering’s report demonstrates the varying scale of challenges within raw materials. In some areas, progress has been fast: the group reached 99 percent of its target to have PVC-free products by 2016, while 81 percent of Kering’s paper and packaging is now from certified sustainably managed forests, with a minimum of 50 percent recycled content. “The certification is already quite advanced. It’s straightforward for a company to purchase paper and packaging from certified sources,” explains Daveu. Other areas present bigger challenges: against an aim to source 100 percent of its gold from verified sources that don’t harm ecosystems, wildlife or communities by 2016, the group achieved only 15 percent of its target. “I am very proud of what we were able to do with gold,” said Daveu. In 2015, Kering brands bought 220 kgs of Responsible Jewelry Council Chain of Custody-certified gold, a figure Kering predicts will double this year. “At the beginning, it was about what we can define as ethical, and this kind of sourcing, and what does it mean operationally? You have to have a clear understanding of not only what’s happening in your company, but what’s happening all over the world: sourcing, legislation, best practices,” she continued. Kering reached only 64 percent of its target to source 100 percent of its leather from responsible and verified sources that don’t result in converting sensitive ecosystems into agricultural land (within this, luxury bovine leather, which is sourced mostly in Europe, and therefore subject to EU regulations, reached 91 percent). Kering also aimed to source 100 percent of its crocodile, fur and precious skins from verified captive breeding or sustainably managed wild populations by 2016: it has reached 91 percent of its target for crocodile skin; 78 percent for shearling fur and 41 percent for precious skins. While the crocodile trade has had welfare and ecological standards in place for the last three decades, there are still “very few sources that are transparent enough and up to our standards” for precious skins, according to the report. Indeed, some sustainability targets — say, switching to recycled packaging — can be tackled “inside the brands, inside the companies,” explained Daveu, while gold or precious skins sourcing, which occur in emerging markets with less industry regulation than Europe, require collaboration. “You need to meet with NGOs, experts, with other industries,” she continued. On skins, Kering has formed the Python Conservation Partnership, with the International Trade Centre and International Union for Conservation of Nature; on gold sourcing, it is being advised by NGOs including Solidaridad. Another way to tackle these issues is vertical integration — by owning its facilities, a company can exercise more control over the welfare and environmental standards implemented there. As a conglomerate, Kering has some advantages in this area — as well as having its own distribution and logistics firm, Kering owns the Blutonic leather tannery in Tuscany — where it has implemented an IT tool to trace the tannery’s leather back to the farm or country of origin, and also developed metal-free tanning for Gucci products — as well as France Croco, a French tannery specialising in crocodile, and the Italian Caravel tannery, which specialises in precious skins. Back in 2012, Kering committed to reduce the carbon emissions, waste and water use throughout its supply chains by 25 percent by 2016. To date, it has reduced emissions by 11 percent, waste by 16 percent and water by 19 percent, missing all three targets. Progress on waste includes a “no box” policy, which swapped its primary shipment packaging for bags and suitcases from cartons to recyclable bags; a new process that turns its luxury brands’ leather offcuts into organic fertiliser: since 2013, the Bottega Veneta sites involved in the programme have generated almost 120 tonnes of offcuts, recycling two-thirds of this. Kering also operates a programme at Gucci to use crocodile offcuts to make shoes: in 2013 alone, 1,825 pairs were made this way. On energy savings, the group has rolled out LED lights in its stores, installed energy monitoring systems at nearly 500 of its sites, and since 2012, more-than quadrupled the amount of renewable energy it bought, meaning 24.5 percent of Kering’s energy was renewable in 2015. However, according to Daveu, for a company of Kering’s size, zero emissions would be “physically impossible.” While Kering has zoned in on where its supply chain has the biggest impact — 69 percent of its emissions in its supply chain come from raw material production — the company “offsets” its remaining scope 1 and 2 emissions (which cover Kering’s own emissions, but not those of outsourced activities, such as emissions from factories the group does not own), meaning it contributes funds to environmental projects proportional to the level of its own environmental impact, an alternative to actually reducing emissions. “You have to adapt to the best practices, and at the end of the day, if you are not able to emit zero emissions, we think it is our responsibility to offset that,” said Daveu. The final part of Kering’s report looks at its social impact. Kering’s set target was to evaluate all key suppliers at least once every two years, and the company has since performed 6,000 supplier audits, which according to the company, covers most of its direct and indirect suppliers. The results of these audits are made publicly available in the company’s annual Reference Document. Kering declined to reveal the financial cost of its sustainability programmes and whether these initiatives were good for the bottom line. However, small points of data in the report — for example, in 2015, Gucci earmarked €2.4 million to replace lights in stores with energy-efficient LEDs — suggest the total sum spent on these activities is significant. “I don’t have a number to say thanks to sustainability, our business is growing by ABC percent. I can’t say that. But again, we don’t do it for that. We do sustainability because we believe in it and we think that if we want to continue our business, it’s not an option, it’s a necessity,” said Daveu. In a report released in 2015 with non-profit consultancy Business for Social Responsibility, Kering laid out how climate change posed a significant threat to the sourcing of raw materials like cashmere and cotton, which the group relies on to make its products. “You have to accept a different kind of payback, different kind of ROI. That’s why the most important thing is the commitment of the top management,” concluded Daveu. This entry was posted in Brands and tagged Bottega Veneta, Gucci, Kering, luxury fashion, Stella McCartney, Yves Saint Laurent. Emma Watson’s Met Gala gown sent a bold message to the fashion industry.